Brian Grazer has just released a little bit more information in the way of Arrested Development season five, but it’s not much. Basically, it might happen in a few weeks or later this year. Who knows? While making his rounds on the Television Critics Association press tour, Grazer’s comments on the forthcoming season really just amounted to a couple of words: “We’re close,” he told Deadline. Grazer went further and said, “I think we found a way to create the compensation structure for all the actors and create a work matrix so they can still make movies and do other things and it will all integrate. So we are really close — I think within a couple of weeks at the most.” So yeah, nothing revelatory or groundbreaking here, but it is slightly promising. Assuming that the story structure is complete, the biggest issue is just making everyone’s schedules fit. And these people are busy. Jeffrey Tambor should be starting production on his other dysfunctional family show this month, Jason Bateman is in the middle of production on his Netflix show Ozarks (and just got added to a new comedy feature), and it seems that Will Arnett is in just about every animated feature these days. And that still leaves Michael Cera, Portia de Rossi, Alia Shawkat, David Cross, Tony Hale and Jessica Walter. So it’s a daunting challenge to make this whole puzzle fit. Hopefully the television gods will grant Grazer discernment and they’ll be able to make the whole production work. 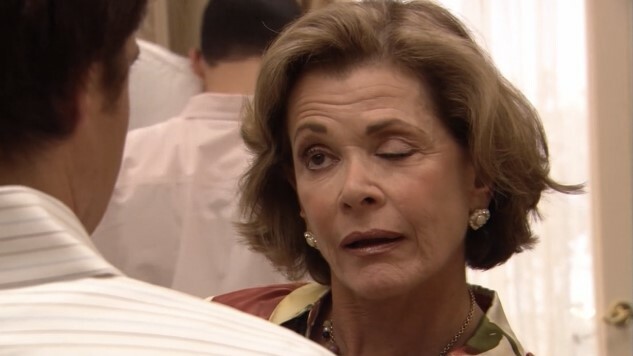 We’re always happy for more Arrested Development, so better late than never.